Turnover : £ 5,000 p.w. London Properties are pleased to offer to the market this Family run business for over 18 years. 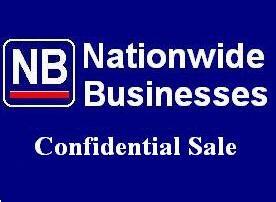 News agent & confectionery business for lease/sale on very busy area with high local footfall. Shop is selling lottery tickets, newspaper, magazines, pay point, cigarettes, alcohol, confectionery, stationery, oyster card etc. It has full CCTV system installed, Atm link, various shelves and slats been installed. It is great opportunity for business or investment purpose. Owner is selling/leasing due to medical health issue. The premises are prominently located in a large residential area and situated on Station Road in Forest Gate also close by 2 local schools. Within walking distance to Forest Gate Railway & Tfi Station & Wanstead Overground Station. Internal viewings are highly recommended through London Properties by appointment only. LOCATION:	The premises are prominently located in a large residential area and situated on Station Road in Forest Gate also close by 2 local schools. Within walking distance to Forest Gate Railway & Tfi Station & Wanstead Overground Station. DESCRIPTION:	It has big shop area on the front and at the back it has kitchen with all appliance, washing machine facility fitted & Bath/Toilet etc. It compromise of 3 rooms according to information provided by landlord an application has been submitted granted to create Bath/WC & Kitchen. it has separate entrance which leads to first floor. BUSINESS:	News agent & confectionery business for lease/sale on very busy area with high local footfall and operated by owner from over 18 years so it has plenty of regular clients. Shop is selling lottery tickets, newspaper, magazines, pay point, cigarettes, alcohol, confectionery, stationery, oyster card etc. It has full CCTV system installed, Atm link, various shelves and slats been installed. It is great opportunity for business or investment purpose. Owner is selling/leasing due to medical health issue. PREMIUM:	£65,000 Guide price for the benefit of the lease, fixtures, fittings and goodwill. TERMS:	Available Freehold or Leasehold. The property is available to let on a new lease on a full repairing and insuring basis for a term to be agreed subject to periodic rent reviews. TURNOVER:	Current turnover in excess of £260,000 per annum approximately. Tenure: Available Freehold or Leasehold. The property is available to let on a new lease on a full repairing and insuring basis for a term to be agreed subject to periodic rent reviews.